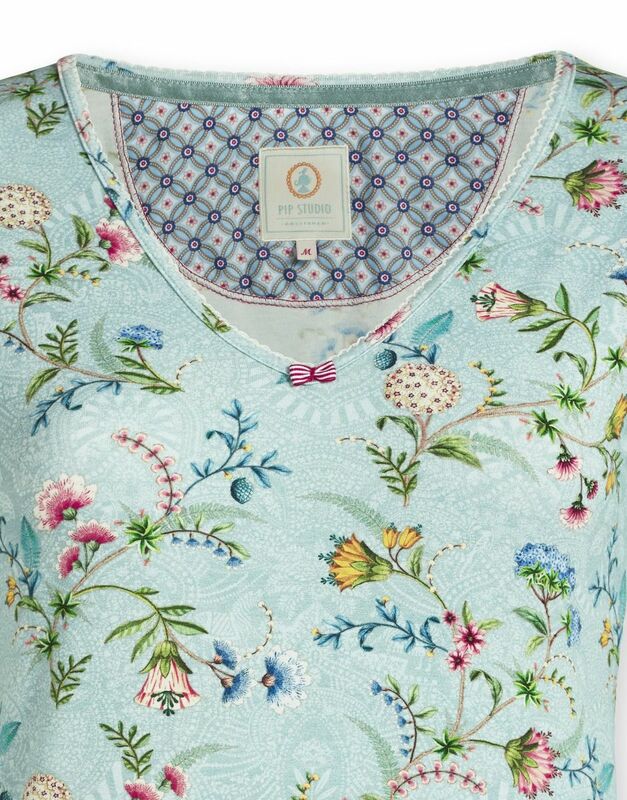 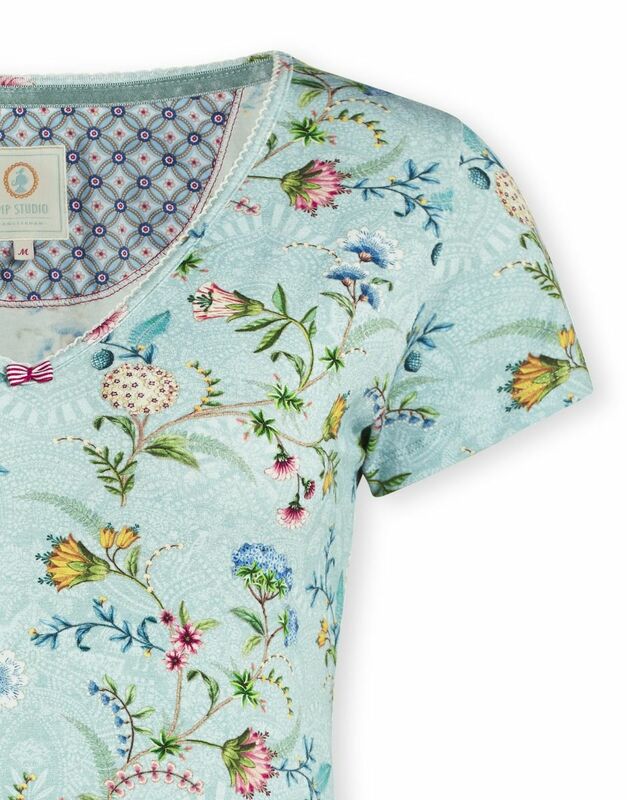 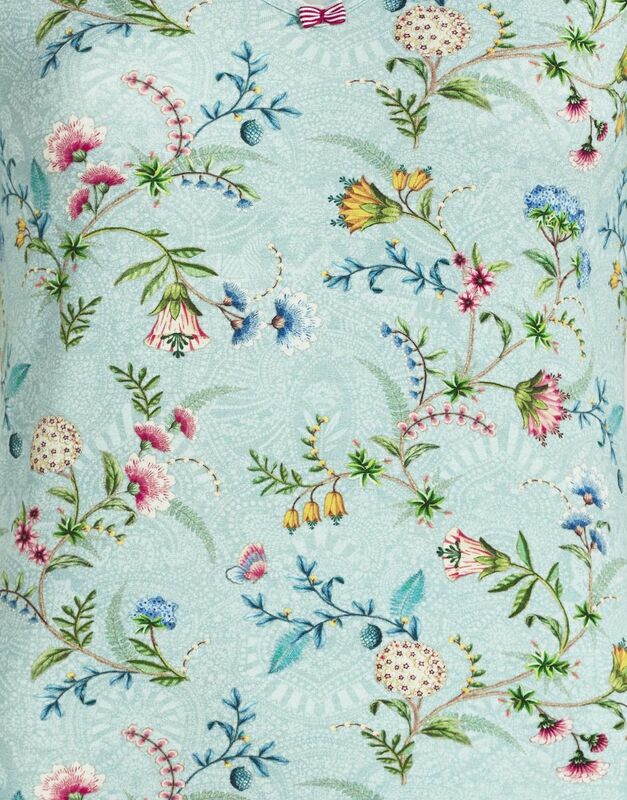 This blue top with short sleeves is decorated with the La Majorelle design, featuring exotic flowers and colourful butterflies with an elegant graphic background. 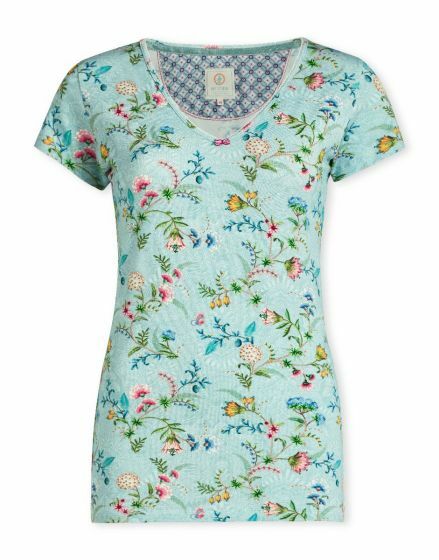 The V-neck has a lovely lace trim and the familiar red Pip bow. 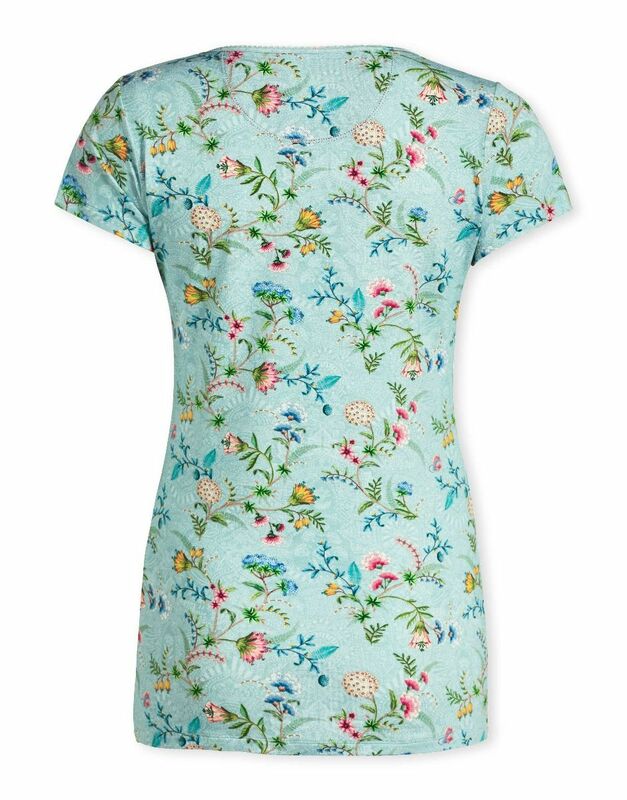 The perfect match for the Bobien trousers.